And found the purrfect pet for their witch/vampire school! Can you guess the cast of characters? My Gator Guys and Gals wanted to participate in Storybook Character Day at school. Nicholas wanted to be bear from "The Cranky Bear", when his friends Zebra, Moose and Lion tried to cheer him up! Emma loves The Magic School Bus, she transformed herself into Ms. Frizzle looking for the missing bones. Kelli is the biggest iCarly fan and could not wait to dress the part! One of Vinny's favorite books is The Dairy of the Wimpy Kid, so here he is as Greg. Sal had a harder time picking a character but Little Critter finally won him over. Kelli was choosen by her teacher for Gator of the Month for October. She was excited to be a Gator Girl with Mr Beasley the Assistant Principle. Nicholas had his first fieldtrip to the Sunrise Theater with his Kindergarten class. 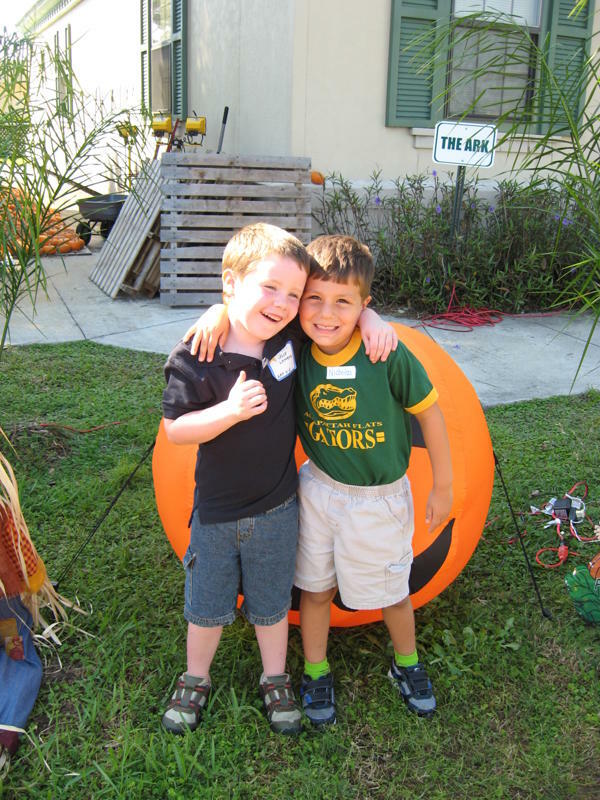 Nothing beats going on your first Kindergarten fieldtrip to the Pumpkin Patch with your best friends! 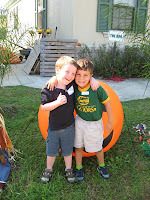 Nicholas and Jack had their first fieldtrip together to the pumpkin patch. What pals they have become! 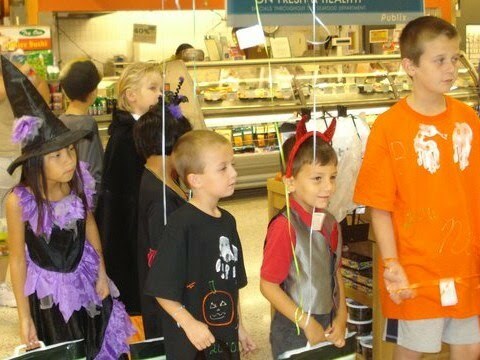 Boo at the Zoo was in full swing and we didn't even know it! Our zoo trip to see Abby and Oz the koalas turned into a frightfully good time. We traveled out past Indiantown to a spooky night in the woods. A haunted house, arts and crafts and a haunted hayride entertained my goblins and ghouls for hours! 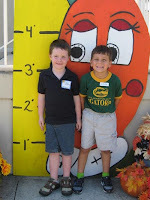 Nicholas and his kindergarten class counted 568 pumpkin seeds! Give A Day, Get This Day! Give A Day, Get A Day at Disney with Nana and Pop-Pop was the best day! Epcot celebrated 15 years of Food and Wine, the kids all loved the French food booth! In the Japanese gardens the kids enjoyed the koi fish and the sounds of the waterfalls. Disney is such a magical place, great jobs kids for giving a day to get this wonderful day! Enjoying the 10th day on the 10th month of the year 2010!